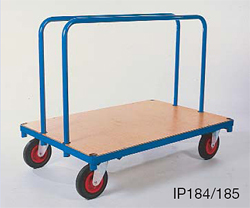 offers a highly manoeuvrable platform. 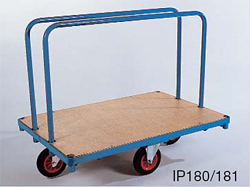 become unstable at the base of ramps. 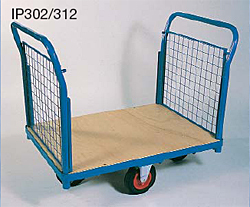 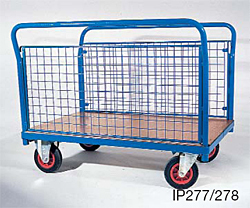 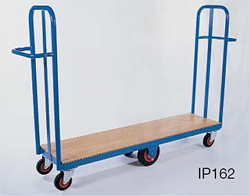 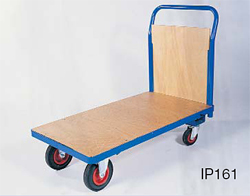 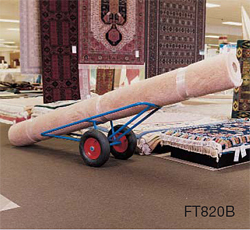 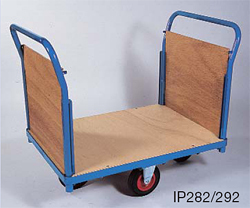 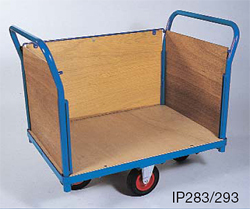 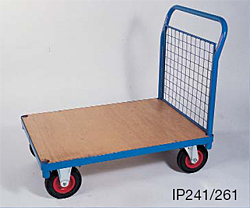 This handling and storage system consists of a lift tug unit which connects to a 2 wheel platform for ease of movement, and assists in the storage of goods particularly within limited areas. 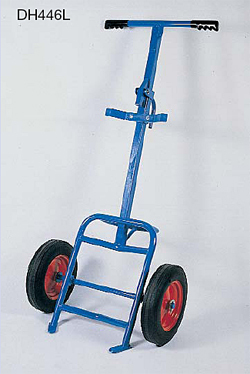 A wider sack truck for awkward loads e.g. 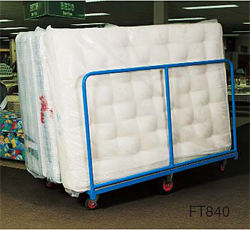 mattresses, etc. 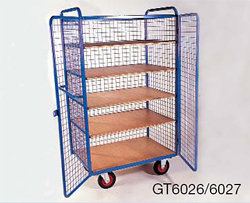 Ideal for all retail outlets, garment storage and in-plant use. 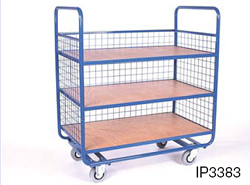 Nesting, rigid and knock-down models available. 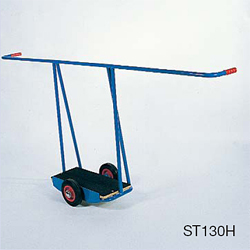 enamel framework withstand the heaviest use. 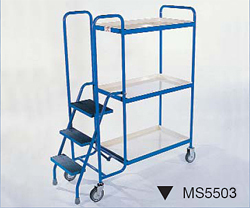 Nesting models reduce storage space. 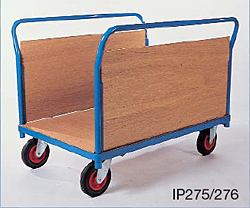 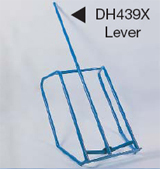 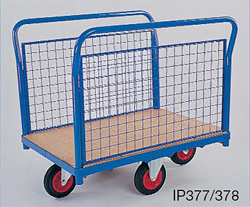 A low cost rail for general use in factory or warehouse. 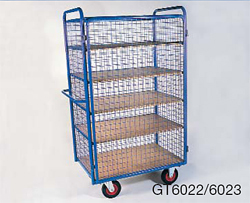 Rigid frame unit for retail use. 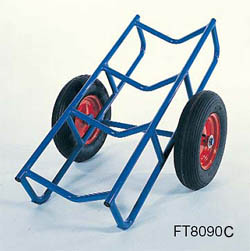 Enamel finish. 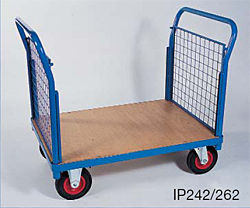 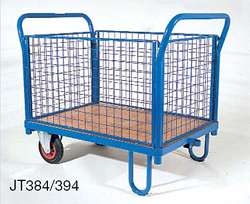 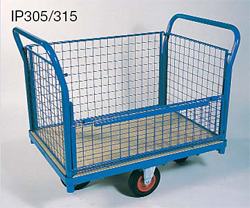 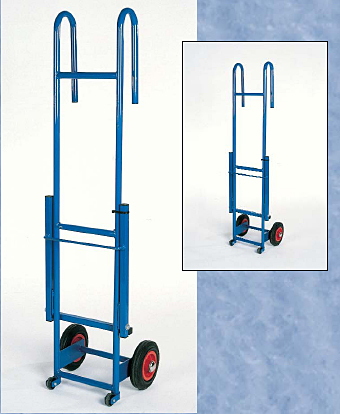 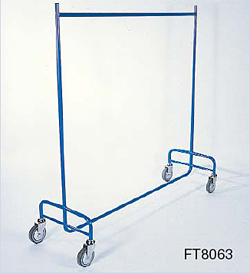 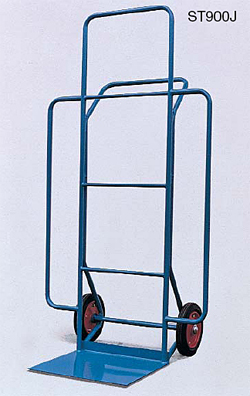 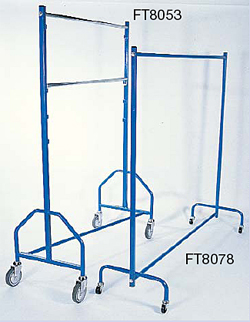 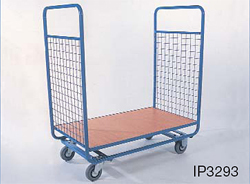 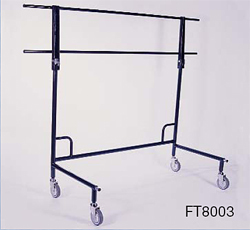 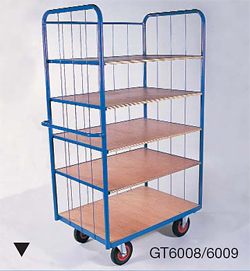 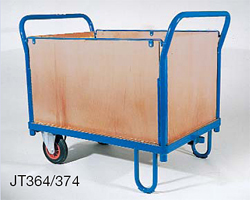 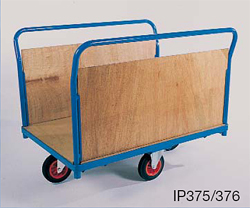 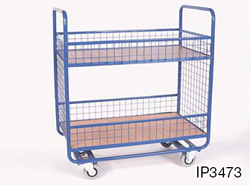 A range of trolleys with various shelf configuration to suit a variety of industrial and commercial applications. 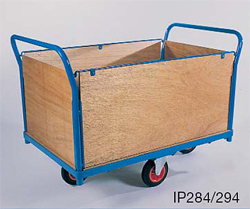 All bases are framed in angle with 18mm exterior grade plywood infills. 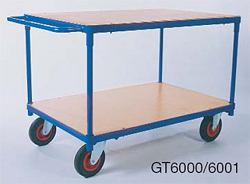 On the GT range, all base in-fills sit flush with the top of the 40mm angle supports. 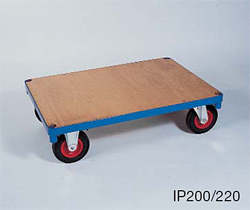 Dimensions are taken from the floor to the top surface of the base. 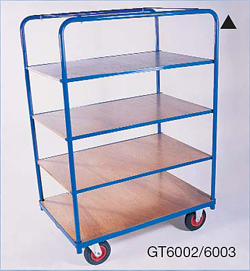 The same principle applies to the top shelf of GT6000/6001 (from floor to top surface of the top). 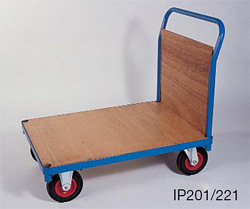 On all removable shelf heights (where the plywood in-fills are inlaid) the dimensions are from the floor to the top of the 25mm angle support. 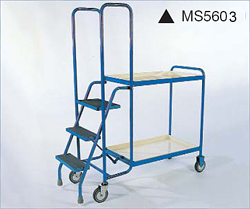 Platform/shelf heights taken from floor to top of 25mm angle supports. 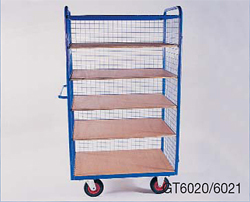 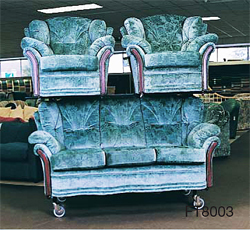 Available in a choice of heights and tray materials. 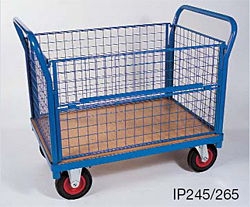 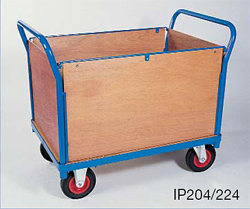 These trolleys are fitted with smooth, quiet, non-marking 125mm rubber castors. 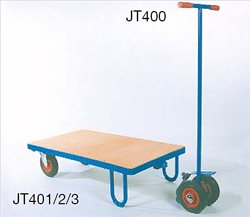 For safety, the spring loaded steps act as a firm brake when stepped upon. 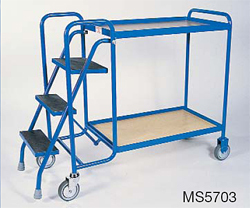 A range of pallets, trolleys and stands designed to assist in the movement and storage of Drums.